Brass Lantern Inn Our records show that this inn is closed. Londonderry Inn Our records show that this inn is closed. Belhaven Inn Our records show that this inn is closed. Northport House B & Inn Our records show that this inn is closed. The Thomas Pitcher House B&B Our records show that this inn is closed. Inn on Primrose Hill Our records show that this inn is closed. Frost House B&B Our records show that this inn is closed. Dragonwick Inn B&B Our records show that this inn is closed. Northport House B&B Our records show that this inn is closed. Adaline Palmer House Our records show that this inn is closed. Inn Britannia Our records show that this inn is closed. 1794 Watchtide... by the Sea Our records show that this inn is closed. 1846 Wildflower Inn Bed and Breakfast Our records show that this inn is closed. Mad Captains' House Our records show that this inn is closed. Jenna - Lynn Bed and Breakfast Our records show that this inn is closed. Maine Island Adventures Our records show that this inn is closed. Belfast bed and breakfast travel guide for romantic, historic and adventure b&b's. 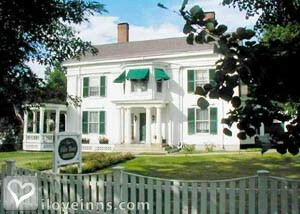 Browse through the iLoveInns.com database of Belfast, Maine bed and breakfasts and country inns to find detailed listings that include room rates, special deals and area activities. You can click on the 'check rates and availability' button to contact the innkeeper. Belfast is the county seat of Waldo in Maine. The main attractions of the city depend on the fact that it is fronted by Belfast Bay. The city has a number of well-kept and beautiful parks that provide a spectacular view of the bay. A number of Belfast bed and breakfast inns are located near the parks. Evenings can be fun in the city because of the existence of several bars and clubs, the most popular of which is Three Tides Waterfront Bar. If you want to shop for souvenirs and other specialty items, go to Coyote Moon and Perry's Nut House; both of which are just in downtown Belfast. The Belfast and Moosehead Lake Railroad Company is a scenic railroad that you should also visit. Other notable spots that you should go to are the city's historical society and museum and the National Theatre Workshop for the Handicapped. By The Jeweled Turret Inn. Belfast, has a lovely historic residential & commercial area on the ocean with a active harbor and many pleasure boats. A beautiful lamp-lit walking bridge is located on the waterfront, where one can walk across the river to East Belfast (great photos & sunsets!) Many parks on the ocean, gardens, shopping, great restaurants and a variety of art studios abound. Guests enjoy wondering through the historic district seeing beautiful Victorian, Federal, Georgian and Colonial homes. By The Jeweled Turret Inn.